Whey leftover from making our San Andreas and Pepato cheese is the secret to this light, fluffy and savory specialty. We add cultures and let the curds form slowly. 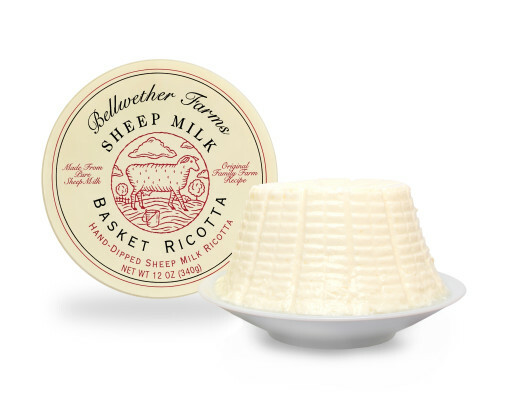 Our basket-drained ricotta is so delicate and fluffy, some liken it to homemade marshmallows. Ingredients: Pasteurized sheep milk, whey, cultures, traditional rennet, salt. Sprinkle with herbs & sea salt or almonds & honey; as a stuffing for ravioli or manicotti.